To download, right click download button and "save target as/link as." On December 20. 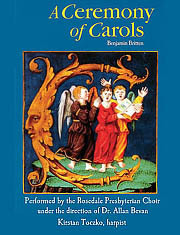 2015, under the direction of Dr. Allan Bevan, the RPC Choir and harpist Kristan Toczko performed the Cantata A Ceremony of Carols Op. 28 by Benjamin Britten. Listen here.